Unfortunately, accidents are a fact of life, and even your teeth are subject to unforeseen circumstances that require a level head and some quick action on your part. Dental emergencies happen. Requesting the advice of a participating dentist as soon as possible puts everyone at ease! For example, what do you do when your child’s tooth gets knocked out playing baseball? Well that all depends on whether it’s an adult tooth or a baby tooth. What if there is another type of injury involving their teeth and gums? You have to be ready to respond to all types of dental emergencies and the doctor or a member of the Delroy Park Dental Care team can walk you through the steps you need to take when one occurs. And what about specific measures you might take to prevent injuries from happening in the first place? Many children and adults engage in contact sports that seem to produce their fair share of injuries to the face, mouth and jaw. High on the list are football, basketball, baseball, volleyball, soccer, lacrosse, ice hockey, field hockey and rugby. For anyone playing these sports, mouth guards are a must for preventing serious injury to the mouth and jaw. If your child or someone you know is a teeth grinder, they may experience pain, headaches, jaw pain, or earaches. Grinding can also wear teeth down and cause chipping and cracking. We can custom fit a night guard to prevent tooth grinding and to protect the grinder from damage to the teeth that can result in expensive restorations. 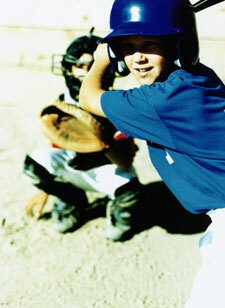 Call and ask about ways to minimize the risk of dental injury, both on and off the playing field! Many injuries are preventable with some knowledge and the proper oral appliances! We are also available for 24 hour emergency care, so if you’ve had an accident, give us a call!